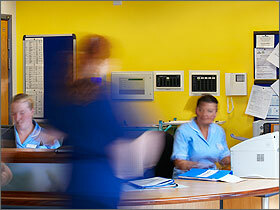 Integrated Health Projects is a leading provider of outstanding healthcare solutions. A fully integrated joint venture between two of the most prestigious names in the UK construction industry, Sir Robert McAlpine and VINCI Construction UK (formerly Norwest Holst), IHP was formed in April 2003 specifically to act as a Principal Supply Chain Partner for ProCure 21+. With the formidable backing each of the joint venture partners provides and an impressive track record in the development and delivery of a wide range of award-winning healthcare projects from “barn” operating theatres at Liverpool’s Broadgreen Hospital to the East London Personality Disorder Unit, IHP offers a comprehensive design, construction and facilities management service. We are committed to achieving the benefits available to NHS Trusts through ProCure 21+, working with our clients to provide better value for money through imaginative and sustainable solutions which offer capital, operational and life-term efficiencies. As well as a fully integrated named supply chain experienced in all facets of healthcare, we bring to every project the technical expertise, robust cost control and programme management skills needed to safely deliver good value, high quality facilities on time and within budget. We are also able to draw on a wider base of knowledge as issues arise within each NHS Trust. While we aim for excellence in design and construction, we recognise that a build solution may not always be the answer. Whatever the requirements, on every project we aim to work in partnership with our NHS clients to develop innovative and forward-thinking solutions which will meet their service provision and business needs long into the future.